When visiting our partners in Germany we noticed how medically clean all the body shop looked. In the pursuit of perfection our research found that 95% of US body shop don't use dustless sanding systems; while 95% of European body shops do use them. In an ongoing need for cleaner, and more efficient shop production we found the "Total Automotive Sanding System" made by a collaboration of Festool Germany and 3M. 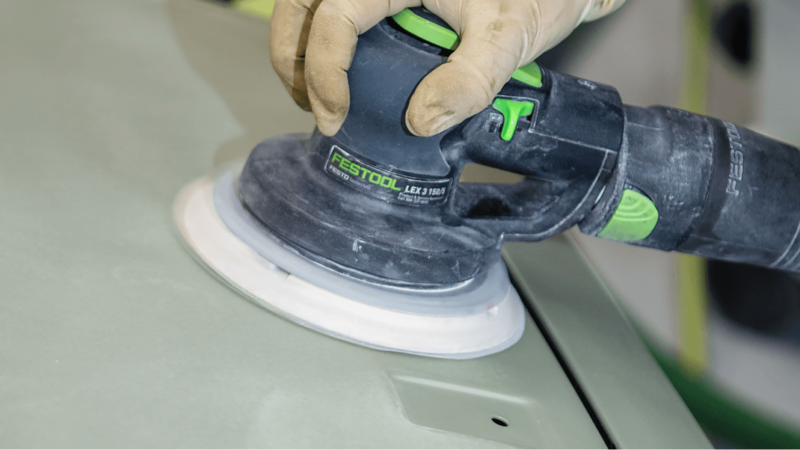 The Festool is one of the most effective and comprehensive surface preparation and finishing systems in the automotive industry. Dust extraction reduced rework and wasting time during body work, and also improved the worker's safety and work environment. We pair this machine with premium 3M Cub-iron abrasives for a 30 percent faster cutting action.